Secretary of State Rex Tillerson on Thursday met with Turkish President Recep Tayyip Erdogan to discuss, putting it lightly, tensions between our two countries. Namely, this time at least, about the way-over-the-red-line Syria. See, the United States military continues to support the Kurdish militia --- good on us --- in northern Syria. The Turkish government believes these Kurds to be aligned with a group they consider terrorists, the Kurdistan Workers’ Party. And so, Turkey says it has had enough; they’re threatening to advance further east from their current outpost --- Syrian’s northwestern territory of Afrin --- to Manbij, which is controlled by the Kurds and patrolled by the US. Ahead of the meeting, Turkish Defense Minister Nurettin Canikli said that Turkey “demanded this relationship be ended” --- that relationship being the US-Kurdish militia one (as if they have a right to be demanding we do anything – considering that the Turkish government itself acts tyrannically toward its own people, cavorts with Russia and whose own actions in Syria are suspect). After the meeting, Tillerson simply told reporters, “We’re still working.” But judging from the photo of Tillerson and Erdogan post-meeting, our guy seems to be the only one happy about it. 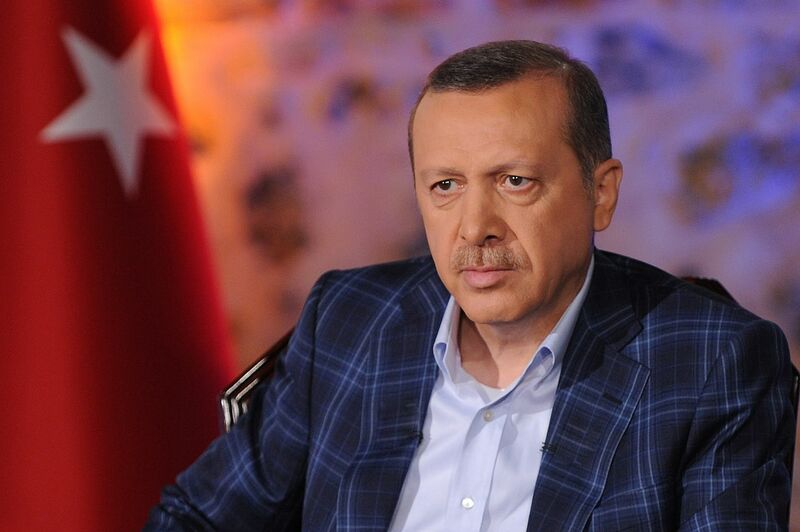 Erdogan’s death stare, on the other hand, seems to be more telling. I truly do hope for a functional relationship with Turkey, but am incredibly skeptical of ever having a really good one with Erdogan at the helm. “Unfortunately, until now a cacophony of mixed American messages, combined with a longstanding tendency to treat Turkey gingerly, has convinced Erdogan that Washington sees its relationship with Ankara as too important to fail. This only increases his appetite for risk—and thus the potential for conflict. Ankara must be made to understand the dire consequences of attacking Manbij, and Washington must be prepared to follow through,” they wrote. And it’s true --- the US is still clinging to the old notion that Turkey is a beacon of democracy in the Middle East, even if that hasn’t been true for as long as Erdogan has been in power (since 2003, first as prime minister, now as president).